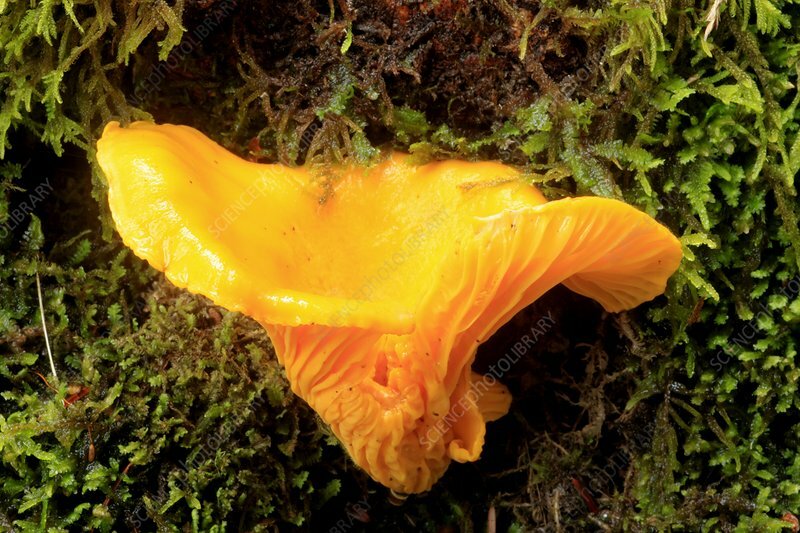 Chanterelle mushroom (cantharellus cibarius), also known as the girolle mushroom. This mushroom is edible, and has a slightly sweet apricot odour. Photographed in Wales, UK.